Opiate addiction results when opiates, typically in the form of sedatives or painkillers are used for a prolonged period of time. In many cases, opiate addiction is the direct result of a good person who gets sucked into a bad situation. In fact, many opiate addicts were originally prescribed the painkillers after an accident, injury or surgical procedure to relieve pain and somewhere along the line they became addicted to the drug, unable to stop using the medication long after they are no longer being prescribed the opiates. Opiate addiction will cause serious and dangerous problems to your health. While many opiates are prescription drugs, there is also one very powerful and deadly opiate that is not prescribed—heroin. Heroin is a dangerous street drug that causes extreme physical dependence after the very first use of the drug. 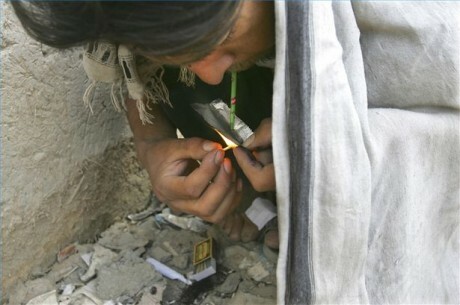 Opium is also a street drug that is derived from the poppy plant and thus is also an opiate. Other opiates include morphine, Codeine and Demerol to name a few. Opiate addiction affects the central nervous system and can be very difficult and dangerous to overcome. In some cases, depending on the level of time that opiates have been used as well as on the level of the “dose” that is typically induced, quitting opiates “cold turkey” or abruptly could be deadly as the body adversely reacts to not having the drugs. In fact, opiates are the most physically addicting drugs that are available aside from alcohol which is not technically considered a drug. Addiction to opiates occurs when the body immediately develops a physical dependence on the drug after the very first use. Tolerance builds up with each use of opiates and over time it takes more and more of the medication, the heroin or the opium to get the same effects. This causes the addiction to worsen immensely in just a short period of time. Opiate addiction causes chemical changes in the brain. Long term opiate causes the brain to stop producing the hormone serotonin and other chemicals that are normally present to make the person feel happy and also to tell the body that there is no pain. The result is that the addict has difficulty being happy without the opiates and severe pain can be felt, even with the opiates. This can make overcoming such an addiction very difficult for the patient.